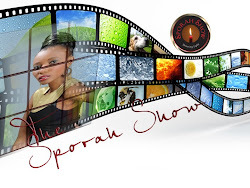 THE SPORAH MAGAZINE: I AM ADDICTED TO FACEBOOK AND THE SPORAH SHOW! 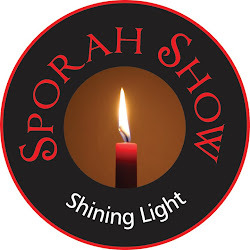 I AM ADDICTED TO FACEBOOK AND THE SPORAH SHOW! Miriam Odemba (from Arusha Tanzania) is Miss Tanzania Earth 2008 and Miss Earth Air 2008 (1st runner up). Miriam Odemba is a Tanzania model. 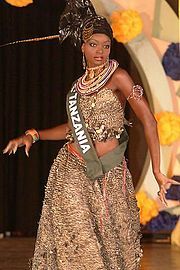 She is one of the best models from Tanzania where she started her modeling career at an early age and emerged into the limelight in 1997 when she won the Miss Temeke title. 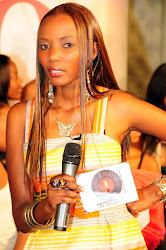 The following year she took part in the Miss East Africa beauty pageant and finished second. At 13, her life was tough and her parents had to move to their uncle. She always wondered what life was all about then. As she grew older, she perceived God’s message of love and started appreciating everything around her especially the nature, God’s greatest gift to not only to her but to all of us. In the final competition of the eighth edition of the international beauty pageant Miss Earth, Odemba was announced as one of sixteen semi-finalists who would move forward to compete for the title. She achieved one of the eight highest scores in the swimsuit competition for her stage chops, which advanced her as one of the top eight finalists to participate in the evening gown competition. She then pulled away for the lead as she articulated in her video interview about environmental concerns as a key issue in her country, in which she advanced to the top four. In the last round, the court of four were asked one question, “What would you tell US President about the state of the global environment if ever you were to meet him?” She placed the second highest score in the interview round and at the conclusion of the competition, she was crowned Miss Earth Air. Talking to Miriam Odemba is a passion as she has a lot to say about herself, her career and definitely to the young women out there. iMag: How does getting married feel? MO: I am not yet married. I am engaged to a wonderful man and I am looking forward to our wedding day. MIRIAM AND HER FIANCE LAURANCE! How did you and Laurent meet? MO: I met Laurent whilst travelling in Hong Kong . iMag: What do you love most about being a mommy? MO: Being a mother has made me more responsible. It is hard work but I believe that a mother is the 'engine' of the family. I am much happier as a mother and am really enjoying motherhood. iMag: How do you describe yourself? a house wife, a model or a business woman! and why? MO: I think I am all three because they are all differenct aspects of my life. I am first and foremost a mother and a housewife; I will never stop being a model and I also enjoy being a business woman. iMag: What’s the most romantic thing Laurent ever done for you? MO: Laurent is french and as you know they are extremely romantic so I couldn't choose just one thing but I will say that I am the happiest woman in the planet right now. iMag: What do you think of today's young mothers? MO: Mothers today are still fashionable. We can be great mothers as well as beautiful wives. It doesn't have to be one or the other. It is wonderful to be a mother, to bring another human being into this world. It is truly a blessing. iMag: What is your biggest fear about being a Mommy? MO: I was afraid of the birthing process but because of my renewed faith in God I found peace. Don't be afraid to become a mother. It is a wonderful gift from God. MIRIAM WITH HER BEAUTIFUL DAUGHTER IRIS! iMag: Have you ever thought you couldn't cope with a child! and why? MO: I never felt that way as becoming a mother has strengthened me and made me feel complete. Motherhood has not slowed me down at all... I think that as women, we are created to have children and if we embrace it...it is an awesome thing. iMag: What bothers you most about your career now after having a child? MO: Most women are afraid of change...they are afraid of changing jobs they don't like or changing boyfriends that they can't stand. You need to know your worth. The day you settle for less is the day you will get less. I say - embrace change because you never know what lies around the corner. a white rich guy! What do you think about this? MO: Everyone is different and has different tastes. I love Laurent so much and it doesn't matter to me that he is white. Love doesn't know colour. We all have our choices in life that we have to make. I would simply say that you have to live your life in the way that is right for you. Don't try to be like anyone else. Live YOUR life. iMag: Miriam, You skin is flawless! how do u maintain it? iMag: Did anyone in the modeling industry ask you to change your look? MO: No and I will never change my look. I love and I do enjoy being me. iMaga: Beauty products You can not do without? MO: Skin Oil by clarins. It helps hydrate my skin. iMag: What is the best beauty advice u know of? using bleaching products. You will regret it later if you do. iMag: Miriam you had 90kilos during your pregnacy, please share with us how did you manage to drop all those Kilos within such a short period of time? MO: The sky is the limit...everything is possible in life it's all in our hands. We have be focused and to put in effort to get what we want in life. I definately struggled with self esteem and body image issues. I was incredibly overweight so I had a plan to lose weight and I stuck to it. I prayed to God for strength and kept pushing myself. If you have hope and trust in God, everything is possible. Don't get me wrong, I do believe that people are beautiful no matter what their size is but I had to slim down because of my chosen career path. The dukan diet helped me a lot. MIRIAM ODEMBA WITH HER KILLER LEGS! iMag: You have a great body, fantastic legs! how do you stay in shape? MO: Running ,swimming,walking,dancing and aerobics... I drink a lot of hot water and eat lots of vegetables and fruits all the time. No white stuff like white rice,bread,cereal,potatoes pasta and fried food. If you avoid eating anything made with white flour you'll be safe. iMag: What is your definition of success? MO: Achieving your goals. I believe that confidence is the key to success. Have a goal... a vision. Qualities such as fearlessness, creativity, discipline and passion are vital elements to sucess. Small opportunities can lead to many big opportunities in life. iMag: Do you think you have achieved that? MO: Yes, I have acheived many goals I have set for myself but I have still have many more things that I would like to achieve for example I want to one day have my own airline company. Let's never stop dreaming people! iMag: What one thing haven't you done you would still like to? MO: I would like to do something to help street children in the world by starting with East Africa. I believe all children have the right to education and I would like to be a part of that. iMag: Tell me something people do not realize about you, maybe it's not a secret, maybe it's not anything special, but it could be something no one else has ever asked you about until now. MO: I am addicted to facebook and the Sporah show! iMag:: What bothers you most about marriages of today? MO: These days couples seem to get bored of each other quicker. Like these celebrities... people no longer take their vows seriously ....in sickness and in health... men never put the toilet sit down after using the toilet...I think you get what I mean. Some people forget manners once you have been married to them too long. iMag: If you could change one things about the world, what would it be? at people or asking them how their day has been. It can make a huge difference. I may not be able to change the world but maybe I can change someone's world. iMag: What makes you laugh? MO: Iris brings so much joy to my heart. Laurent (my fiance) is also very funny and he makes me laugh a lot. iMag: On money matters, do you personally invest? MO: Yes. I have a Shop in Tanzania, HOUSE OF FASHION. HOUSE OF FASHION: Greatly inspired by various trends! IN HOUSE OF FASHION we sell high quality latest trend in fashion accessories for party, office & casual wears. 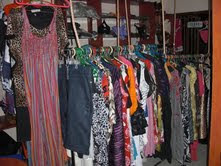 Designs from European latest trends, Stylish & high quality fashion wear - Shoes, Bags, Clutches etc in reasonable rates. KARIBUNI WOTE! MIRIAM AND HER FRIEND NAROLA! iMag: Which celebrity would you invite to dinner and why? MO: I would invite Maria Sarungi as she has changed the lives of many young women in Tanzania. I think she is an intelligent business woman and she is very charming. Also, if I could add one more, I would invite Beyonce because she is my inspiration. She helps many young musicians and she has that star quality. iMag: If you could only bring one thing on a desert island with you, what would it be and why? MO: Water. We can't survive without it. iMag: What is never miss in your hand bag? MO: My make up bag and mobile phone - I would be lost without them. iMag: What is on your i-pod? iMag: What’s your greatest indulgence? MO: Shoes! I love shoes! I love shopping and perfume. MO: I don't talk about the past. MO: 1st is to wake up in the morning and be grateful to God for keeping you here, alive and healthy. 2nd is to give. iMag: What makes you proud to be a Tanzanian? MO: I am so proud to be Tanzanian. Tanzania is not poor but it is poorly managed. I hope my young brother Jeremiah Kagose will one day manage everything so that we can have a better Tanzania without corruption. iMag: What period in your life have you been happiest? MO: When Iris came into this world. I have lived an exciting life for a long time and still do in some respects, but now I enjoy being with my daughter Iris - she is a joy. As you settle into life you will discover that the things that make you most happy really are the most simple things, like spending time with my wonderful fiance and a good night kiss from Iris wow, I am really proud. MIRIAM ODEMBA AND HER BROTHER! Miriam with her lil brother Jeremia Kagose Odemba. iMag: Do you have any regrets? MO: No I am a born again Christian. I believe in Jesus Christ and He has wiped my past mistakes away. iMag: How do you feel about the future? MO: I am looking forward to all that life will bring. I look forward to watching my daughter grow up (but not too fast!). My future is in God's hands. iMag: What do you love a part from modelling? MO: Taking pictures... going to museums like the Louvre, spending time with my friends and my family, shopping, eating good food. My best friend Narola from childhood has opened up a cupcake business: Arusha Cupcakes. She makes the yummiest cupcakes! You have to try it! MO:: Thank you but I prefer hot water. we hope to have you sometime soon on The Sporah Show! MO: Aww! Thank you, Am looking forward to.